Mark Edwards is the founder of Edwards PC, Creative Law, a three-member boutique, with offices in Toronto and Ottawa, practicing exclusively in the entertainment, new media and software industries. As a lawyer and a business executive, Mark is building and helping others to build IP-based, creative businesses in film, television, games, music, new media and software. Mark began his professional life with thirteen years of commercial litigation, the last six with Nelligan O’Brien Payne. Mark left his partnership for the opportunity to participate directly in the entertainment industry, helping to found Amberwood Entertainment, a Canadian animation company for which he acted as Vice-President of Business and Legal Affairs and Supervising Producer, financing and producing over $52 million of animated children’s television programming. Seeking another challenge, Mark worked first as an independent Executive Producer of film and television and then as Managing Director of Fuel Industries, a company specializing in advergaming and branded entertainment, with a staff of nearly 100. In 2007, Mark founded Vision Interactive Technologies Inc., creating and deploying the CrowdWave mass-interactive game platform for professional and collegiate sports. Its clients included the Rangers, Knicks, Capitals, Wizards, Cavaliers and many other NBA, NHL and NCAA teams. 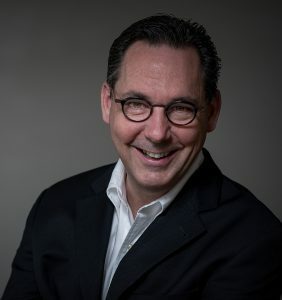 In 2013, Mark combined his interests and experience in law and in television production, advergaming and branded entertainment, by establishing Edwards PC, Creative Law and returning to a full-time legal practice.